This popular, semiannual event brings more than 20 lab supply vendors together in one place on campus, making it convenient for researchers to see what new products and services are available to them. Researchers are able to meet face-to-face with vendors they are familiar with to learn about new products being offered, and can also meet with new companies to see what other supplies are available that will benefit lab work. 1. 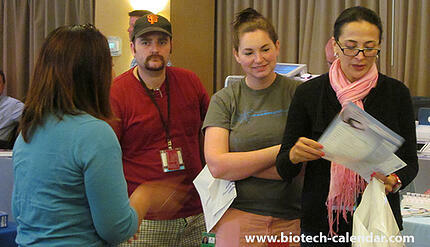 The BioResearch Product Faire™ Event at the UC Davis Medical Center helps researchers in the life science and medical fields learn about the newest tools and technologies that different companies are supplying. Between the hours of 10:00 a.m. and 2:30 p.m., researchers are able to speak with all the companies that are providing equipment related to their field of work, to determine if any of the equipment is needed in their labs. 2. By being able to meet with numerous supply companies, researchers are able to compare products and prices, and get questions and concerns addressed promptly to help them determine what products will be the most beneficial to their work. 3. Researchers will save lab time in the future by getting all questions and concerns answered in one day, in one place, from personal conversations with sales reps. This helps researchers to truly understand what products are and are not useful to them. 4. 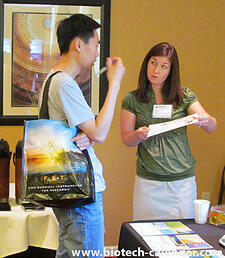 Help speed up your research by using samples received from various companies at the event. After learning what products have the potential to increase lab results, some companies will provide samples that will let you determine whether they are beneficial to purchase and use in the lab. 5. Network with more than 130 researchers from over 20 different departments and 17 on-campus buildings at the UC Davis Medical Center. This provides an excellent chance to network with researchers from different departments to learn about their work. Along with seeing what new products are available, researchers who attend the event will also have access to a fully catered lunch buffet of sandwiches, pizza, fruit and veggies, cookies, lemonade, and coffee. Why not take a break from your lab work and enjoy a free bite to eat with your lab mates and colleagues? In the morning, Science Ninja t-shirts will be available to the early-birds on a first-come, first-served basis. Researchers love coming to the event every year to get a shirt in a different color and with a different design to add to their Science Ninja tee collection. Door prizes will be available to all attendees, while supplies last. These items typically include notebooks, phone chargers, cell phone cases, candles, and other fun goodies. Everyone who attends will also be entered into a drawing to win an iPad Mini at the end of the day. "This event is very informative and allows us to connect with vendors, obtain promotional prices, and learn about products coming out next year." "I like to see the products in person so I feel more comfortable buying them online." "I enjoy learning about new products from the different vendors!" 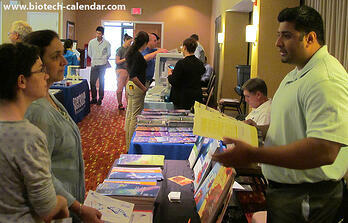 "The vendor show at UCDMC is convenient and close. I won't go to other shows." Lab managers, researchers, PIs, professors, purchasing agents, post docs, grad students, and other lab staff are invited to attend this event. You can register at the door the day of the event, or pre-register online to get into the event quicker. Just print out a copy of your registration form and bring it with you to the event.